Much has been made of Ryan Gosling's directorial debut, which opened to harsh reception at Cannes last year. Critics seem determined to undermine the intent behind the picture rather than its contents: attacks have been leveled at its supposedly self-indulgent nature on the one hand and its debt to stronger directors on the other. 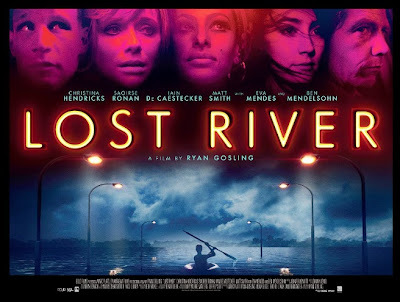 When criticism is leveled at its subject matter, it attacks the film's supposed pretentiousness or flamboyance—attacks which again seem poke under the surface at Gosling rather than the film itself. What can be said for certain is that the film tries its best to be artistic, and whether that's to its detriment or not will be for each viewer to decide on their own. What we have here is a movie that is very pretty with a script that is slightly underwritten. Lost River is a mood piece that relies more on character than plot (almost nothing "happens" in a traditional sense), and yet it's admittedly hard to see as a complete success even through this lens since the characters can feel a bit thin. The film is dour, melancholic, and meandering—and that's the point—but it often gets carried away with its visual imagery and gloomy introspection. As for myself, I detected some heart beneath the thick outer shell of its visual style, and that heart lay in the ideas of home and family. 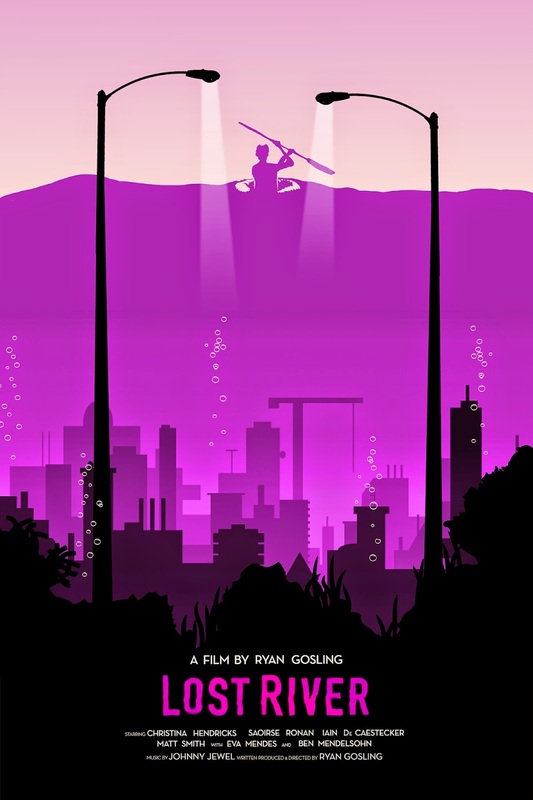 It is a film which seems to be working through the traumatic experience of the bursting of the housing bubble which lead to a generation-defining recession. But even more than this, it is a film about finding your place in the world, and how the supposedly stable signifiers we think about as a home (the building we live in, the physical evidence of our lives) doesn't matter nearly as much as the people we share it with. A mother selling her body trying to hold onto her home. A son repairing his car to try to escape the place he lives. A grandmother stuck repeatedly rewatching her old wedding video. A granddaughter trying to get out of her house as it burns down around her. The world ruled over by a schoolyard bully. Everything owned by a violent sexual deviant. This is the residue of anxieties leftover from the ideological disintegration of our conception of ourselves. We are no longer secure in our own homes, we are afraid that the tyrant who rules over us will bulldoze them out from under our feet. 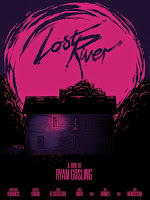 Lost River shows us that home is not a physical location in past, present, or future reality; rather, home is a state of being shared among people living together. Home is not the property owned by corrupt businessmen or ruled by political bullies, but the people we love. Our home is a lost river, and rather than clinging to the crumbling banks, we're better off drifting downstream and loving the family we're floating along with.